“What if you can take revenge on an entire village? 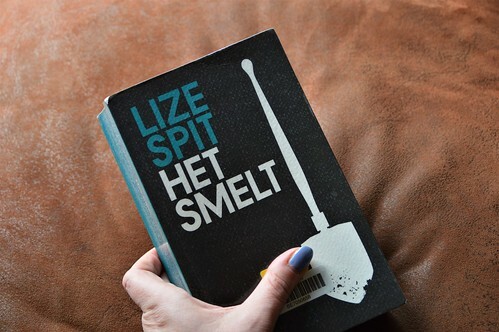 ‘Het Smelt’ (which can be translated as ‘it melts’) is the debut of Flemish author Lize Spit. The novel was greatly appreciated by the Flemish and Dutch press and sold like hot cakes. Apparently it will be translated into English soon (don’t know what the title will be though!) and there are plans to make a film of it. The story is supposed to be ‘recognizable’ for people who lived in small villages and hamlets during the eighties and nineties… it’s supposed to bring back memories… but honestly, I feel very sad for the people that find this novel recognizable! They must have had one tough childhood! Now some things that appear in the book are of course recognizable: grocery shopping in the Aldi, Encarta 97, the millennium bug, the yearly quiz at the village hall,… but the main story is just very cruel and I simply cannot imagine that children of 13-14 years of age in a tiny Flemish hamlet, where everyone knows everone, could do such cruel things to each other… or, even worse, that adults wouldn’t intervene. 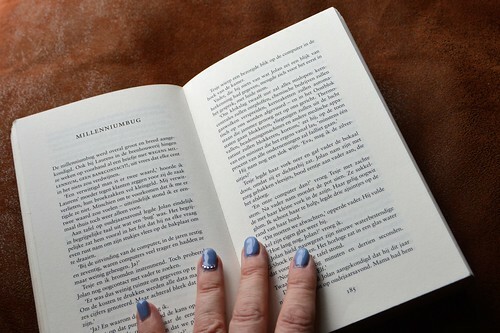 ‘Het Smelt’ is a novel which jumps from one era to another. Now I don’t mind that when reading a book, as that can really build up tension in a story. I really liked it in ‘All the light we cannot see‘ by Anthony Doerr as the ‘present’ parts in that book are like cliffhangers which I truly found so thrilling that at times my heart was literally racing! But sadly that wasn’t the effect that ‘Het Smelt’ had on me. I found the ‘present’ parts quite boring during the first 300 pages or so, so that didn’t do much to the tension to me… at all… It annoyed me and I even found myself skipping parts or skimming through pages as nothing really interesting was told. The author uses heaps and heaps and heaps of flashbacks. She sometimes even uses flashbacks in flashbacks, which was very confusing in the beginning of the novel, when I was still getting into the story. Spit does have the ability to put an overall sad, depressing, indifferent feeling to her novel. She writes very detailed, but in a very clinical, straightforward kind of way. This adds to the cruel atmosphere which goes perfectly well with the overall feeling I had about this novel… one of disbelief and disgust. Now all this may give you the idea that I really and truly hated this book… but, surprisingly that’s not entirely the case! I was intrigued by it. It got me talking about it. It fascinated me. I wanted to read on to find out how it would all end. How did Jan die? What about the riddle? Why is Eva driving back to her birthplace after so many years… and what the hell is that lump of ice doing in the trunk of her car?! The last chapter, believe it or not, actually moved me. I thought it was the perfect end for this novel. I have never ever read anything like ‘Het Smelt’. I would never ever pick it out myself, but I am not sorry I put my time and energy in this novel. It is a typical Flemish novel which I can now tick off my list! Is this book recognizable for you? Will you go and see the film? Could you live in a little hamlet like Bovenmeer? My personal score for this book is 6/10. 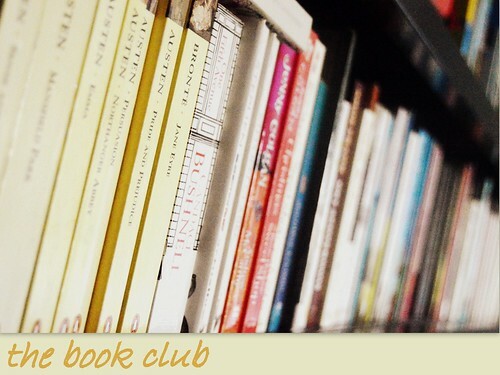 The average score of our bookclub was 7,11/10. Next time something completely different… we’ll explore ‘magic realism’ in ‘The Nightcircus’ by Erin Morgenstern. Can’t wait! This entry was posted in The book club and tagged book review, bookclub, het smelt, lize spit. I’ve never heard of this book, but it sounds interesting and I might read it if it were translated into English or German. I was thinking about your book club. I looked around for one locally, thought about starting one, and then found an online one, which I joined this month. We start our first book in February, and I’m looking forward to the social aspect of it. I’ve always loved reading, and I always have books on the go, but I think doing something like this opens your mind up to trying new authors or new types of books that you otherwise wouldn’t have given a chance.